No trip to Arizona is complete without a stop at the Grand Canyon. Peer down into the mile deep river bed as you take in the jagged rocks and the amazing colors of the earth. Whether you want to take a trip down the river, do some back country hiking or see the canyon from high overhead there is a tour available for you. The Phoenix Zoo has been rated one of the top five zoos in the United States for kids. Get up close and personal with a giraffe. At the Phoenix Zoo you can actually climb up and feed the giraffes, how cool. How about a ride on a camel? Or pet and feed a stingray? Monkey village allows you get in the cage with the monkeys. Walk through the exhibit of squirrel monkeys as they scamper just inches away from you. You can also hop on the Safari Train and let you tour guide tell you interesting things about the exhibits you pass, or take a ride on the Endangered Species Carousel. No wonder this zoo is in the top five. Plan a visit to the Desert Botanical Gardens, wind your way through the peaceful scenic trails or take a guided tour to learn more about the beauty that surrounds you. The Gardens are open from 7 am to 8 pm so depending on the time of year you could even take in a sunrise or a sunset, what a beautiful way to start or end the day. Castles n’ Coasters offers fun and excitement to kids of all ages. If you like the high adrenaline of riding the rails of a roller coaster try Desert Storm. In for something a little more physically challenging try On The Ropes, the 3 story obstacle course lets you test your skills and courage and lets you compete with your friends and family. I think the bumper boats and the mini golf might be more my speed. The Phoenix International Raceway currently hosts two NASCAR race weekends annually. Stay right in the action in an RV so you don’t miss a thing. Even if you are not a NASCAR fan there is nothing like seeing this event live, the energy here is contagious. What? This festival celebrates the craft beer movement. With live entertainment, food, beer science garden, beer Olympics and over 40 local and national breweries this is a don’t miss event. What? This is the 20th annual Cinco de Mayo Festival. As always this event is about Food, Family and Fun. The Harvest Festival is the largest indoor art and craft show on the West Coast. Each event features hundreds of artisans exhibiting American handmade items including jewelry, clothing, specialty foods, photography, original art, hand-turned wood, music, ceramics and much more. Each event lasts for 3 days. Three days of shopping, stage and strolling entertainment and lots of festival food. There is something for everyone one of any age, including the Kidzones with craft activities. Rent an RV and tour Arizona, “The Grand Canyon State”, and enjoy the hot sun. You will definitely need an RV rental with air conditioning for this trip! Arizona is a desert area which means it is a popular tourist area during the winter months because of the warm weather. RV rental / golfing vacations are common in Arizona because golfing is a year-round sport. There is an amazing array of historical artifacts throughout Arizona which can be found in the State and National Parks. Take your Arizona RV rental to some Native American historic sites and many places made popular by the Wild West era, such as Tombstone and the OK Coral. For more sightseeing fun with your Arizona RV rental, visit Boot Hill and the Birdcage Theatre. If you’re looking for a Phoenix RV rental, you should know that Phoenix is the largest city in the southwest and can get very hot. The most fascinating thing about Phoenix is that it is surrounded by a massive landscape of untouched desert. There is an active art scene and bustling economy. Phoenix has grown rapidly and is now adjoined to Mesa, Scottsdale, and Tempe, which are now referred to as the “Valley of the Sun”. Once you’re ready to travel some more, take your Arizona RV rental to Scottsdale. Scottsdale is a tourist hotspot where you will find local artists selling their wide varieties of art (metal works, pottery, paintings, jewelry, etc.). For a slightly cooler climate, you may want to drive your Arizona RV rental to Tucson. Tucson is surrounded by canyons, cliffs, deserts, cactai, and an extremely diverse bird population. Tucson is Arizona’s second largest city. 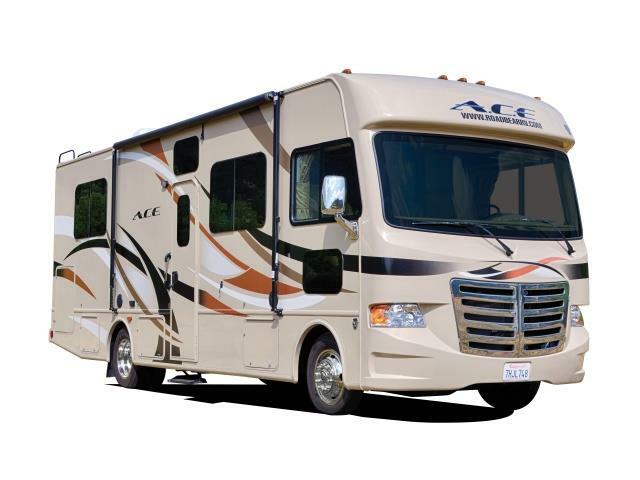 See our RV rentals in Arizona.